The phone calls from various customers, some regular and some new, keep the couples [Vinod and Harshlata Jain] multi-tasking. Few customers drop in at their house, which doubles up as the tiffin centre, to collect their tiffins. Vinodji, greets them and if requested also customises the items in their tiffin according to the demands. Only when the name of each of his regular customer’s name is written on the tiffin is it ready for distribution. Vinodji then gets ready and sets off with the tiffins for it to reach its rightful owner. In the mean while, Harshlataji again cleans the floor and utensils. In about an hour, at around 2 pm, this entire process will be repeated with the same amount of passion and enthusiasm for dinner. India is full of ‘galli’ entrepreneurs like Vinod and Harshlata Jain, who endures lot of hardships day in day out to maintain the quality of their product. We need business solutions that can help such businesses facilitate their operations and reach out to more people. … and we are glad that Jain Tiffin Centre is availing our solutions for its business! It is said that Maharaja Sawai Jai Singh II was a visionary and a mastermind. 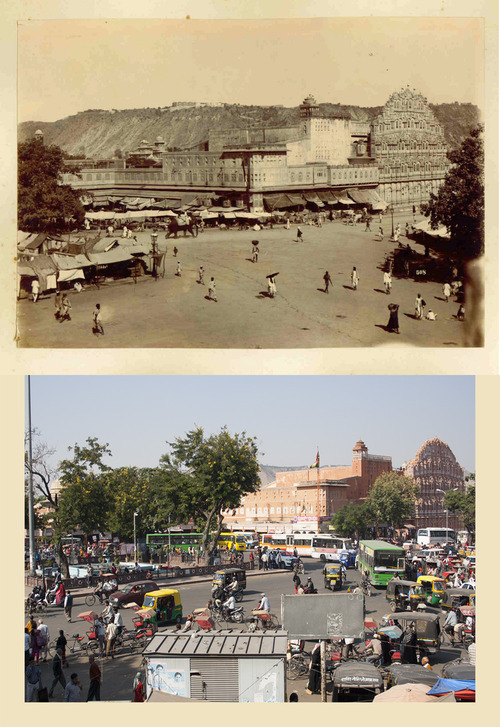 No wonder he was if he thought of building a city like Jaipur, most unusual among pre-modern Indian cities. As early as 1727, he designed an entire city in the regularity of networks of streets, and thought to divide it into six sectors by broad streets of 111 ft wide. But even he would not have ever imagined that these broad streets would one day have to cater to the ever increasing number of vehicles in Jaipur that is now two million and counting.